Bamboo is a relatively new innovation in bedding and is quickly gaining in popularity, due mainly to its silky smooth properties, and to its firmness, absorption properties and porous characteristics. Bamboo is a natural and environmentally friendly resource since it grows without the need for chemical fertilizers. 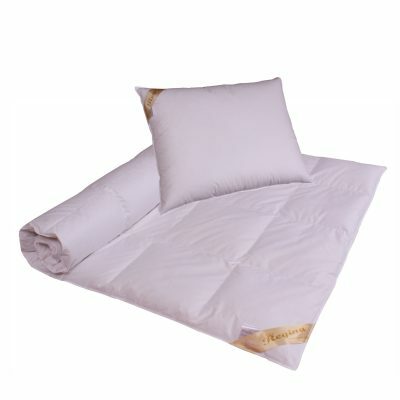 Cotton blankets are purely natural products. 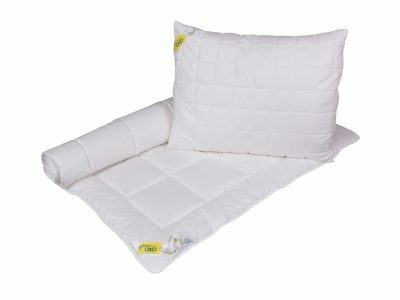 Both the cover and padding are made from 100% cotton. Cotton provides a naturally cool and refreshing feel and is especially suitable for summer season or warmer climates. 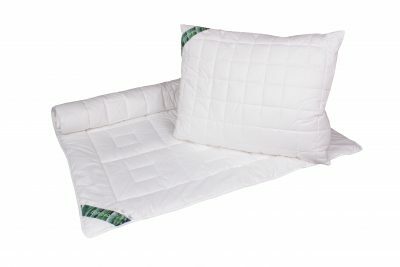 Blankets and pillows made from silk extend our line of products made from organic materials. Silk provides a smooth, cooling effect and is especially suitable for summer season or warmer climates. 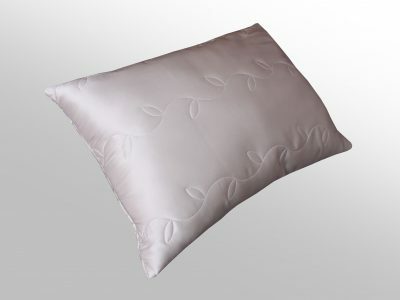 Covers for these products are made from 100% silk – satin. Cashmere, fiber obtained from mountain goats, ranks among the highest quality and most expensive materials used in blanket padding. Cover materials are made from high quality smooth bed ticking (100% cotton). 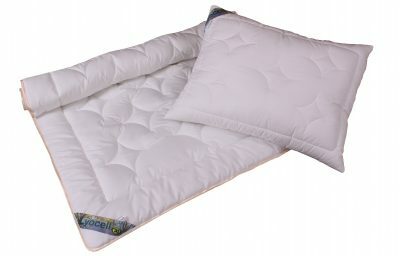 Padding is quilted with pure cashmere wool. Tencel is a new generation fibre. 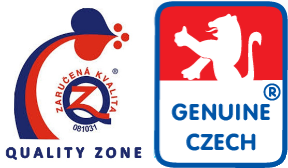 It is obtained from beech or oak trees using environment- friendly methods. The fiber has excellent strength, with fine fibrils split from its surface during manufacture, which then ensure a gentle touch of products with lyocell. 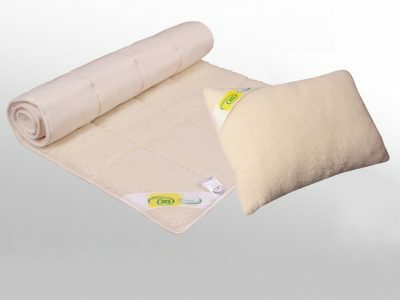 This line includes quilted blankets, pillows and mattress pads of 100% pure combed sheep fleece, carbonized to eliminate all impurities. The sheep wool collection is a high quality and very warm option. 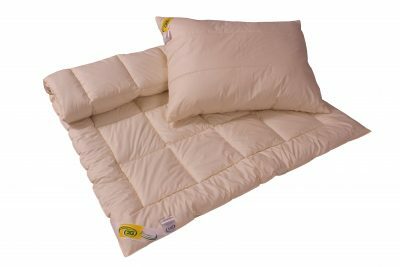 These products, produced in combination with cotton fabrics are popular choice for those who prefer bedding made from organic materials. 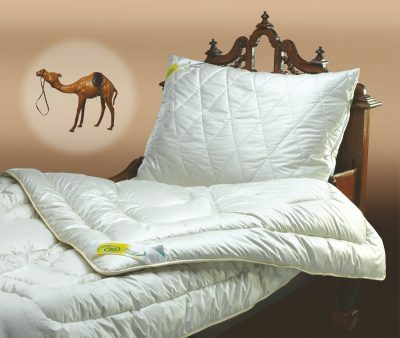 The Merino line is an option to traditional blankets, pillows and mattress pads which use padding made from combed sheep hair and with cotton covers. Merino products use for cover the knitted plush – 100% sheep hair. Feather is a traditional filling material and has been used in the production of blankets and pillows over many generations. The quality of feather products depends on the percentage of the down used in production, which can range in amounts from 10 - 90%. Camel hair is smooth, soft and very close-fitting high-grade hair. 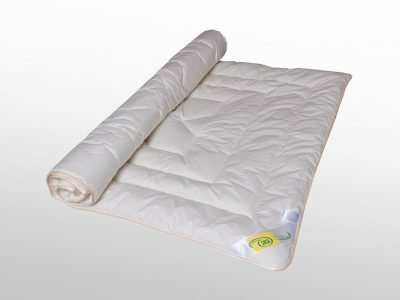 It features extremely good properties for temperature control, be it warm or cold.